Should Grandmothers Go To A Beauty Specialist? Many women from all ages enjoy relishing themselves in getting professionally beautified every 2 to 3 weeks. This can involve getting nails, (both fingernails and toenails), hair, eye brows, tattoos and even professional messages. If every woman did all the above, it could, of course, get mighty expensive. Definitely too extravagant for my pocket book to keep up with the maintenance with all the above! Does this grandmother get her nails done? Some grandmas are retired and fixed on a low income with their social security and small pension checks. Don’t get me started on amounts of pension checks. I’ll just say this; for most people, they don’t make enough pensions for themselves for the length of their occupations. In fact, it’s down right unfair for the small amounts for all the hard work they put in. In a nutshell, some grandmothers just can’t afford to get pampered like that all the time. However, it does a woman good to treat herself to get pampered and prettied up once in awhile; especially if they are going somewhere special, or even a granny’s night on the town. Getting pampered seems to bring out not just the beauty in grandmothers; but the inside beauty as well. 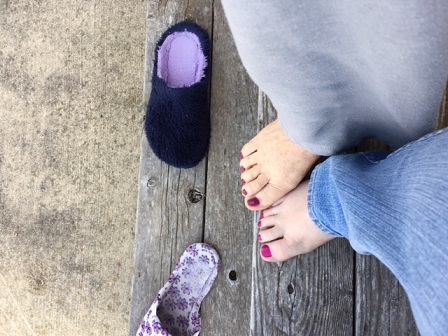 I say if you can afford getting your nails done, or a pedicure done…or what have you, (and you love the way it makes you feel inside and out), do it!